Born in Ikast (Denmark), Bo Skovhus studied at the Conservatory in Aarhus, at the Royal Opera Academy in Copenhagen, and in New York. His career began in 1988 at the Volksoper in Vienna, the town that is still the centre of his artistic activities. He has been closely associated with the Vienna State Opera for over ten years and he performs regularly there as well as in the Musikverein and Konzerthaus where he is frequently engaged for recitals and concerts. In 1997 he was awarded the title of Austrian Kammersänger. Bo Skovhus’s opera repertoire comprises roles such as Don Giovanni, Count Almaviva/LE NOZZE DI FIGARO, Alfonso/COSÌ FAN TUTTE), Mandryka/ARABELLA, Storch/INTERMEZZO, the Count/CAPRICCIO and Barbier Schneidebart/DIE SCHWEIGSAME FRAUE, the title roles in WOZZECK and EUGENE ONEGIN, Yeletsky/THE QUEEN OF SPADES, Danilo/DIE LUSTIGE WITWE, Eisenstein/DIE FLEDERMAUS, Wolfram/TANNHÄUSER, Kurwenal/TRISTAN UND ISOLDE, Amfortas/PARSIFAL, Beckmesser/DIE MEISTERSINGER, Rodrigue/DON CARLOS, Frank and Fritz/Pierrot/DIE TOTE STADT as well as the title part in OBERST SCHABERT VON H.W. VON WALTERSHAUSEN. When he recently portrayed Reimann’s Lear in the new production of the Hamburg State Opera, he brought the house down and the press spoke of the “role of his life”. His engagements during the 2011-12 season include Danilo in a revival of Lustige Witwe at the Palais Garnier in Paris and Nick Shadow/THE RAKE’S PROGRESS at the Deutsche Oper am Rhein in Düsseldorf and later also at the Theater an der Wien and in Torino. Future engagements also include the Count in Capriccio in Paris, Vienna, London and Chicago, Agamemnon/IPHIGENIE EN AULIDE at the Theater an der Wien, Beckmesser in Chicago, Hamburg and at the Budapest Festival, Kurwenal in Hamburg, Capriccio at the Vienna State Opera, Eisenstein in Chicago, Amfortas in Berlin as well as Dr. Schön in a new Lulu production at the Munich State Opera, etc. Besides his performances in the major opera houses in Europe, America and Japan, Bo Skovhus devotes himself intensively to lied singing: together with pianists such as Helmut Deutsch, Stefan Vladar, Andreas Haefliger, Yefim Bronfman, Leif Ove Andsnes, Christoph Eschenbach and Daniel Barenboim he gives lied recitals in the world’s most renowned music centers. 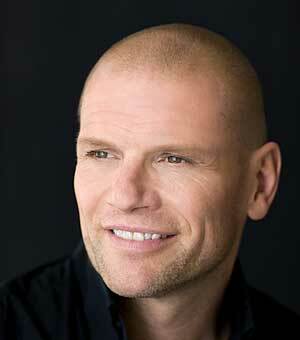 As a concert singer Bo Skovhus has appeared with outstanding orchestras throughout Europe, USA and Japan. His extensive repertoire focuses on works of Gustav Mahler and of Scandinavian composers, as well pieces like Frank Martin’s JEDERMANN MONOLOGUES and Zemlinsky’s LYRISCHE SYMPHONIE. The conductors Bo Skovhus has worked with include Gerd Albrecht, Claudio Abbado, Daniel Barenboim, Jirí Belohlávek, Michael Boder, James Conlon, Sir Andrew Davis, Bertrand de Billy, Charles Dutoit, Armin and Philippe Jordan, Christoph von Dohnányi, Christoph Eschenbach, Sir John Eliot Gardiner, Nikolaus Harnoncourt, Marek Janowski, Mariss Jansons, Sir Charles Mackerras, Zubin Mehta, Ingo Metzmacher, Riccardo Muti, Seiji Ozawa, Georges Prêtre, Donald Runnicles, Esa-Pekka Salonen, Wolfgang Sawallisch, Ulf Schirmer, Horst Stein, Jeffrey Tate, Christian Thielemann, Edo de Waart and Simone Young. Bo Skovhus has recorded many of the central roles of his opera and concert repertoire on CD and also a series of recital albums. On Stage represents Bo at special projects in the Nordic Region.